Decorate your space! Sweet Spring is here and this cute chick would make a charming addition! Fill a bowl or basket! Add to a baby gift or Easter surprise! 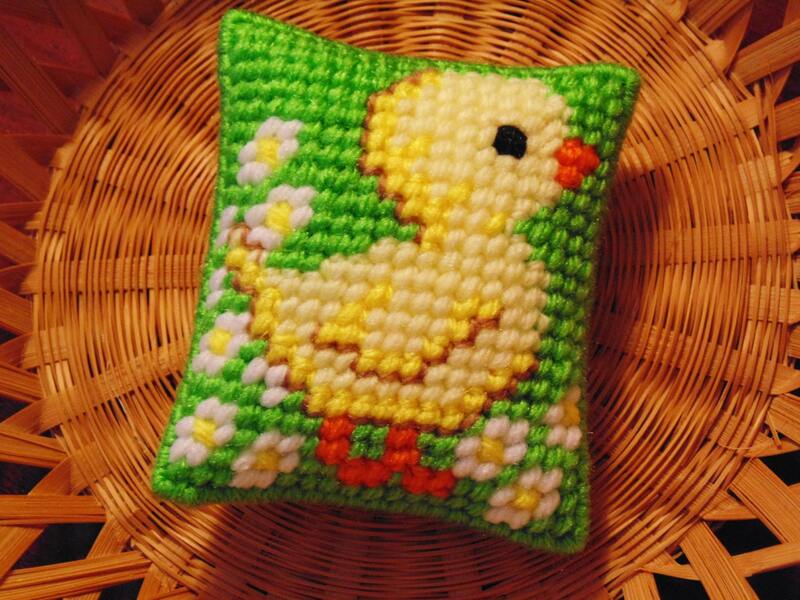 Maybe you just love needlepoint! Give to someone extra special in your life! Approximately 3 1/4" by 3 3/4". Hand stitched with acrylic yarns on both sides, in needlepoint, on plastic canvas- very sturdy and won't go flat! Stuffed with soft fiberfill for puffiness- like a sweet little pillow!